Patriot GoTravel provides temporary medical insurance for U.S. citizens and foreign nationals who travel outside their home country. Coverage includes options for deductibles and policy limits. Patriot GoTravel Group is designed for organizations of five or more individuals who travel together to a destination outside of their country of citizenship. Coverage includes options for deductibles and policy limits. Global Medical Insurance is long-term, annually renewable medical insurance with a $5,000,000 lifetime policy limit. 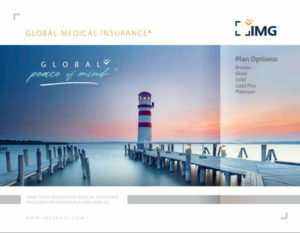 Global Medical Insurance offers two areas of coverage to non-U.S. citizens and U.S. expatriates: coverage worldwide or worldwide excluding U.S./Canada.